Hey Chris, we lucked out again, thank goodness! Can't wait to see what Season 19 brings! Hopefully more episodes and less breaks. That was ridiculous this season. I'd also like to see SVU make history and break the record for longest TV drama ever by making it to 2019-2020, which would be Season 21! @Chris - what are your thoughts on Rick Eid leaving the show as showrunner and going to Chicago PD? ... Not even for a guest shot. I'd stop watching if that happened. I won't even watch eps from the Stabler years anymore as it is. RE: the Rick Eid issue - while I can't speak to his actual showrunning abilities (I don't think the scheduling problem were necessarily his fault) I actually DID like the direction he was taking the show. There were fewer stories focused on the personal issues of the characters, and an attempt to bring the legal aspect back to the show. But I did hear rumors there was quite a bit of turmoil between the staff (writers, producers, etc. ), and again I am not sure whose fault that was. It will be interesting to see who they get for the new SVU showrunner. Neal Baer clearly reigned over the best years at SVU. Warren Leight's tenure started the downward slide; it was partly from Meloni's exit (which cost a lot of viewers) but I did hear a lot of complaints about too much focus on personal stories, making it into a soap opera. It will be interesting to see who is willing to take the helm. I am still hugely impressed with the way Rene Balcer revitalised the mothership post-season 17. I would happily recommend him (if I had any kind of power in these matters!) as the next showrunner. Bring him back! My other suggestion would be Judith McCreary. She wrote some terrific episodes in the early years. Chris, I'm thinking Julie Martin might take the throne. She's currently second to Rick Eid, and it makes sense she would become the next showrunner. As for the legal aspect, I loved that nearly every episode focused some amount on the courtroom. However, some of the horrible episodes this season had to deal with courtroom scenes. On another note, something else I'd like to see for Season 19 is either some new detectives so that the show isn't constantly understaffed, or for Benson to not be in every damn scene. As a Lieutenant I can understand her telling the other detectives what to do and where to go with cases, but Cragen never went onto the field except for that time he had to go undercover in the Season 13 episode "Russian Brides." And we all know how that went out as that season ended. As a Lieutenant, Liv should also be absent from certain scenes and yes, even an episode or two, to be at Lieutenant meetings or conferences. 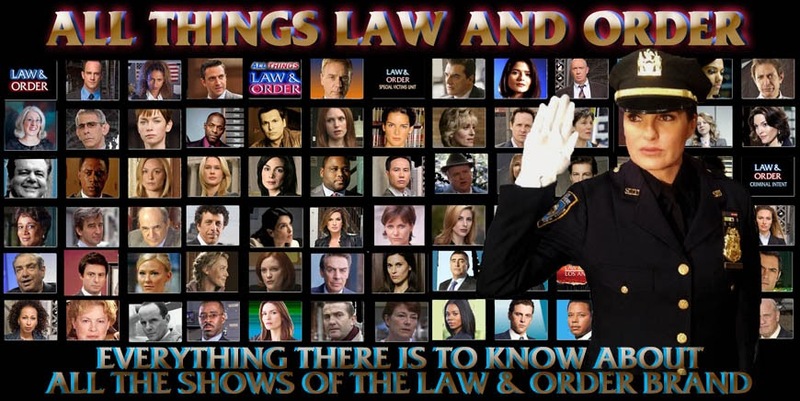 Whatever reasons Cragen missed episodes that could pass as reasons for Liv. She could even miss scenes or episodes to be at a school event with Noah or to be taking care of him a bit more. I understand she has a sitter, but she could still take a day from time to time. The stress from her job takes a small toll as it is. All in all, I'm actually rather glad Rick Eid won't return for Season 19. It makes me all the more excited to see what the new season will have in store! I have to agree Chris, while Warren had some good episodes in his time Neal had the best. My favorite seasons are 1-7, 8-12 had some good episodes but not many. Just my personal opinion. I wasn't one who was upset by Meloni's departure, the character had grown to annoy me. Plus, the constant drama with his family was exhausting. I do like to see some personal aspects from time to time, but the Warren years (starting in 16 & especially 17) became too soap opera like for me. While this season had it's issues, I don't think all are to blame on Mr Eid but I'm sure a number are, I did like how it seemed to be going back to what L&O as well as SVU were built on. I hope whoever comes on board as showrunner won't try to revive storylines from previous seasons that seemed to be forgotten. I'd like to see the show just move on and be what made me fall in love with it 18 years ago. @Gah-Kai Leung - Rene Balcer would be great but I think he has a few other irons in the fire right now! @Draven Long - I was very surprised when Julie didn't get the job the last time. Maybe she didn't want it or maybe there are other "issues." I could easily see her making the set up this time. And I can see your point on your Benson assessment, but I can also see where they'd want to feature her prominently as she is the show's big draw. If there is any "meaningful" scene you can guarantee she will be in it. If it's just the detectives questioning witnesses, more of those scenes are going to the other cast lately. @ladybug81 - I loathed the Stabler family drama. LOATHED! I always thought the personal stories with SVU were the show's weak spot. Law & Order had the perfect balance with that in the last few seasons but SVU never seems to get it quite right, in my opinion. I felt the personal stories in L&O felt very "organic" to the story but SVU's always felt forced to me! Chris, I just had another thought. President Trump's sexual assualt/harassment allegations are something no one really cares about now. While NBC has shelved the episode, I can't help but wonder if we will see "Unstoppable" air in Season 19. I do know that one thing I would love to see this coming season is for that Lomatin guy to finally get to become a full-fledged cop..... I sympathize with him, because I am intimately familiar with what it is like to be arbitrarily denied a lifelong dream because of other people's ignorance.